Baby boomer travel makes up a great deal of the travel industry... The reason is simple, baby boomers are estimated to control around 75% of the assets in the United States. We, I consider myself a Boomer even though I missed it by two months being born in October of 1945... Have got the money and those fortunate enough to be able to retire... Have certainly got the time. What are some of the most popular modes of transportation that baby boomers choose? 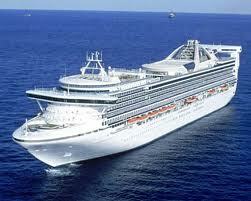 Cruises are the first thing that comes to my mind. Due to the lag time in financing and the manufacture of these floating luxury hotels, a lot of them were started in 2005 to 2008, before the recession hit in full force in the United States. The result, all in favor of baby boomers traveling, is a lot of ships to choose from in the midst of an economic downturn. If anything, baby boomers know a deal when they see it, and a lot of them are jumping on the opportunities that are currently available in the cruise industry. Since my wife and I, obviously love the sea...living on a sailboat for eight years in the Caribbean, we are taking cruises every year...our favorites are the transatlantics...we love the days at sea and they are cheap...100$ a day per couple...you can't home for that. The cruise that we are taking from Fort Lauderdale to Rome in late April... Is what the cruise ship industry calls a repositioning cruise. The cruise lines put more of their vessels in the Caribbean during our winter... And move some of those ships to Europe during the summer. We are spending $899 a person for a 14 day cruise... Try going on any vacation for $130 a day, per couple... All-inclusive, food, entertainment, no four dollar a gallon plus gasoline to buy...that is baby boomer travel that is fun and frugal. For our money we enjoy the days at sea... And you get plenty of them on a repositioning cruise. Our first port of call will be Gibraltar, eight days after leaving Fort Lauderdale...this long without seeing land is not everyone's cup of tea... We love it. It reminds you that the earth is two thirds water... we tend to forget that. We also actually prefer an interior cabin, these are the cheapest on the boat... Again this is not for everyone, but works great for us. This cruise will make about 16 cruises for us...the first one I paid for a suite... Every other one I paid for an interior cabin. Update...we just returned from the cruise...had a ball...the big bonus was we got upgraded to a balcony cabin for no additional charge...the balcony was very nice...especially when you do not have to pay for it. Whenever you want to take a nap, during the day, you cannot beat that total darkness that's an interior cabin. Some might say, these are the smallest cabins aboard, and the shower is especially small. What we do, is try to get as high as possible in the ship close to the spa... You will find regular sized showers in the spa... And that's where we take our showers. One of my golfing buddies recently returned from a cruise, and said the next one he went on... He was just going to put soap on the shower curtain and spin around to get clean. I never have figured out how to get away from that shower curtain in those tiny bathrooms. We enjoy taking trips by car... If you do you can experience some of the out of the way places in the US that are absolutely gorgeous. We would've missed this magnificent scenery were it not for traveling from Phoenix to Steamboat Springs, Colorado by car... We have friends who have a son who has a condo in Steamboat, and we have visited many times in the last several years. The first time we flew from Phoenix to Denver rented a car and then drove the five hours to Steamboat Springs. We can drive from our home in Surprise, Arizona to Steamboat in 12 hours... Exactly the same time we spend when we drive to the Phoenix airport fly to Denver, get the Rent-A-Car, and drive to Steamboat. The car trip is not only much more relaxing we get to enjoy the beautiful scenery of Monument Valley and Arches National Park near Moab, Utah. Folks I don't know about you, but flying the commercial airlines has become a real pain... The increased security is a necessary evil, but it is still a very stressful mode of travel... When compared to seeing beautiful scenery...give me the car. I recently made a guest post, on the boomer travel blog My itchy travel feet...I highly recommend the site as a resource for us boomers that have the travel bug. You will find the site to be very informative and well-written. Baby boomer travel... where are you going next?